What To Learn About Puzzilla???? Bill Harten, the creator of the Puzzilla. org website, is coming to our area the last week in July. On the Friday evening of July 31, he will give his 2-hour presentation on the use of this new website, which is a very powerful tool, in the Hayden Stake building. EWGS Plans Big Celebration To Mark 80th Anniversary on June 6th. I do hope everybody reading this post has June 6th marked on their calendar as EWGS day! That will be the day EWGS marks their 80th anniversary of our founding in 1935. Your Story Starts Here is our theme for the day. We of the planning committee have been working diligently for months planning this anniversary celebration day. There will be prizes, cake and punch/coffee, six stations where you will learn a bit bout how to do genealogy, what's for you with EWGS and in the EWGS genealogy collection. If you bring up to 5 photos, we will scan them in for you and put them on a flash drive (also please bring or available for purchase). The Tuesday Gals will help you find you family on the 1930 and/or 1940 U.S. Census and print out a copy for you. There will be Dorothy Dean 1935 recipes available too! The highlights of the day will be a "Who Do You Think You Are?" type of presentation by the Tuesday Group spotlighing Paul Turner (of our local Spokesman newspaper) and his family history. 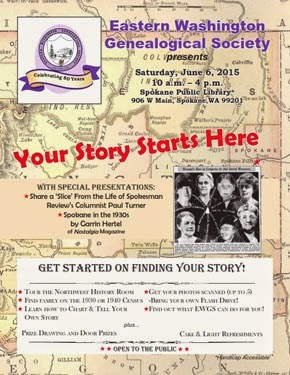 And Garrin Hertel, of Nostalgia magazine, will share a visual presentation on Spokane in the 1930s. Prizes will be drawn from completed-submitted Passports. You will be given a passport when you enter the library and will be eligible for a prize when you have all six station stamps upon your passport. We do hope you are planning to come enjoy our celebration and with your presence make it a success! Do bring a friend! "Marvelene was a very active member of EWGS, and enjoyed it..."
CARNEY, Marvelene E. (Age 82) Marvelene Carney passed away April 3, 2015 in Casa Grande, AZ. Marvelene was born October 25, 1932 in Oklahoma City, OK to Revelle E. Roach and Estelle Lorraine (Stirman) Roach. She was preceded in death by her parents, and the love of her life, Frank James Carney, daughters, Denise Rose Shearer and Barbara Lorraine Carney. She is survived by her daughter, Judith Carney-Hoeykens of Casa Grande, AZ; son, Thomas R. Carney of AL; sister, Patsy Roach and brother, Paul Roach, both from Oregon. Marvelene was a Registered Nurse for 35 years and worked at Deaconess Hospital in Spokane, WA. She was a member of the Eastern Washington Genealology Society. "The world is a lesser place without her"
Stacy Elliott, from KCGS (Kootenai Co Gen Soc) sends this news flash: "I would like to announce that a new and revised collection of Mayflower Families Silver has been donated to KCGS and the Hayden Library in Hayden, Idaho. Please advise your members and remind them that the 400th anniversary celebration is coming in 2020 and if you think you are a Mayflower descendant, these books will help get the "proof" started. FamilyTree Magazine for Jan-Feb 2015, page 60, carried a neat map of the U.S. Its a 1932 map, from the Carnegie Institute of Washington's Atlas of the Historical Geography of the U.S., and is based on 1880 census information. Looking at Washington, it shows that in 1880 there was a foreign-born population of more than 30% in the northwestern counties of the state and the same for what is now Jefferson and Mason counties. Other areas in the state (King Co) was 20-30% foreign-born and Spokane and the central counties were 10-20% so born. Interesting. We are a state (and surely a nation) of immigrants. Love to find old postcards of Spokane! 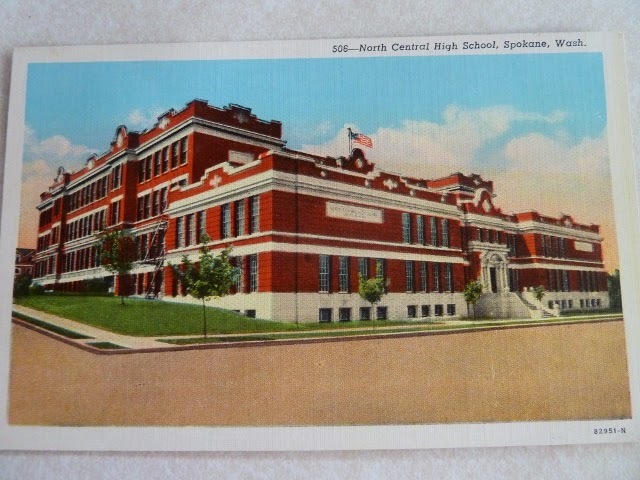 Top on is North Central High School, the old school (where I attended!). 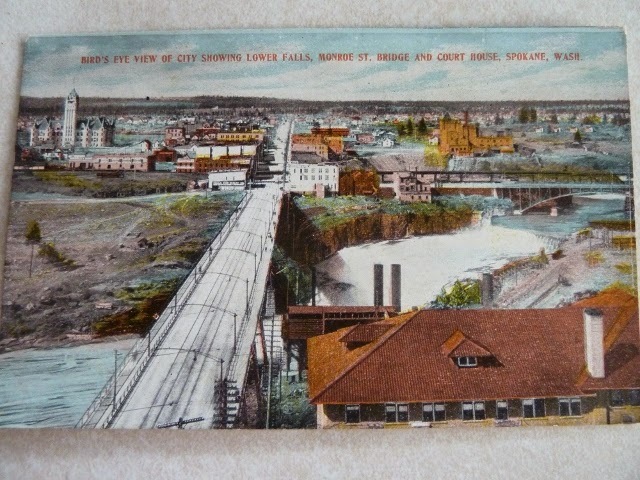 Middle is "Bird's Eye View of City Shwoing Lower Falls, Monroe St. Bridge and Court House." 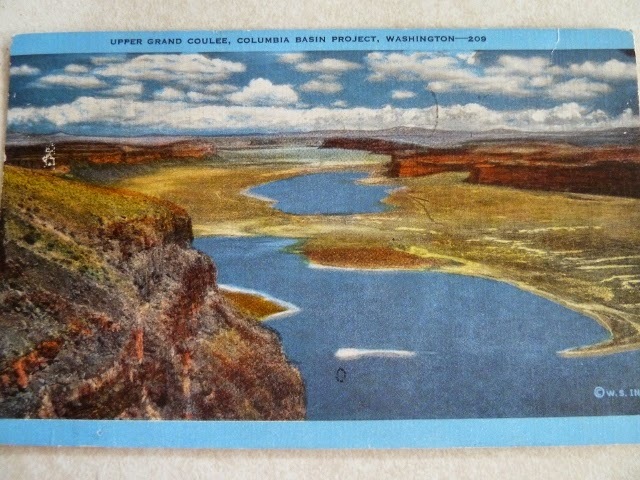 Bottom one is "Upper Grand Coulee, Columbia Basin Project." I think this lower one is of what is now Banks Lake, the man-made lake created to help irrigate the central basin area of Washington. You have probably seen it too, driving south to Pullman on highway 95 just off I-90..... look to your left next trip down. Did you catch this article in our Spokesman on 23 March 2015? "Urn artists look for beauty in death." The article began, "Of all the pieces Julie Moore crafts in her home studio, the most popular is a brightly colored fabric vessel she calls 'the party jar.' But in this case, the guest of honor is inside the jar." The article goes on to explain that since cremations are up, more people are looking for unusual and beautiful urns for their loved ones' ashes. Do a Google search for "Julie Moore party jars" to read more about this artist and her project. And what do you think about this? Bet you agree with Paul Turner in his "Slice" advice some weeks ago: "Life's too short to go around looking for opportunities to be offended." Remember, Paul is to be honored by EWGS at our June 6th 80th anniversary celebration........ click to www.EWGSI.org for more information. This is coming up on Saturday, April 18th: Click to www.rememberinggenerations.com for details. and reserve your seats now for this great event. Check out who will be presenting and what classes they are helping with. 25 classes this year to choose from. Beginner to advanced and everything in between. The Remembering Generations FamilySearch Symposium-A Family Discovery Day, is a learning day where you will be shown how to use many of the top-notch genealogical resources, techniques and records available to you to find your ancestors and learn about their lives. The day will include a syllabus for each class offered and free lunch. Doors open for registration at 8am, a welcome at 8:40 and then various classes going from 9:15 am to 4:00 pm. A widow had "discovered" genealogy and found it a great way to occupy some of her spare time in her retirement. She spent some money, but was judicious in what she spent and was not in any danger of frittering away her retirement. In fact, she stayed well within her genealogy budget. Her son, thinking that his mother was spending too much time "looking for dead people," constantly berated her for it and criticized her for spending too much money. She finally told him that since her genealogy work bothered him so much, she had decided to develop a new past time that might cost less. The local tavern had a weekly "ladies' night" and she was hopeful that she'd meet a man there would could be her son's stepfather. He never complained about genealogy again. Interesting tidbit from THE WEEK (a new news magazine) 27 Feb 2015: "An Indian optometrist has given his elite clients a new way to flaunt their wealth: contact lenses that turn eyes a glimmering gold. Mumbai-based Dr. C.C. said he came up with the idea for the 24-karat eyewear, which sells for up to $18,000 a pair, after his wife had diamonds implanted in her teeth, making him realize that people were prepared to put bling on almost every part of their body. Dr. C. says that anyone who looks into a wearer's gold eyes will be "mesmerized." Will you be ordering a pair?? 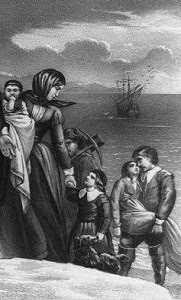 Would a picture of the ship that carried your ancestors to America be something you would like to have? ShipIndex offers just that service. Do check it out.......... this was their 18 March newsletter. These stats are current as of 3/18/2015, and are guaranteed to keep increasing. ShipIndex.org March 2015 UpdateWe've got trailers! Every movie has a trailer. Video games have trailers. Even books have trailers these days, which I find incredibly weird. ShipIndex.org has some neat new videos, which I will call trailers, just because. Check 'em out below, and let me know what you think. ShipIndex.org is headed to the Association of College & Research Libraries conference next week, in Portland, Oregon. If you are at a college or university and think ShipIndex would be useful to your colleagues and students, please take a moment to ask your librarians to come by booth 168 and learn about ShipIndex.org. We can show them how it will help you and them, and how can be incorporated into library discovery tools, so maritime history is an important part of what students discover. Next month, we're heading to the New England Regional Genealogical Conference in Providence, Rhode Island, April 15-19. Peter will give a talk about searching for ships, and we'll have lots of great information at our booth, as well. And, you'll have a chance to win a full year of access to the premium database, so keep an eye out for that! ShipIndex TrailerClick on the link below to see our new video; more will follow. Over two dozen resources were added since the last newsletter. 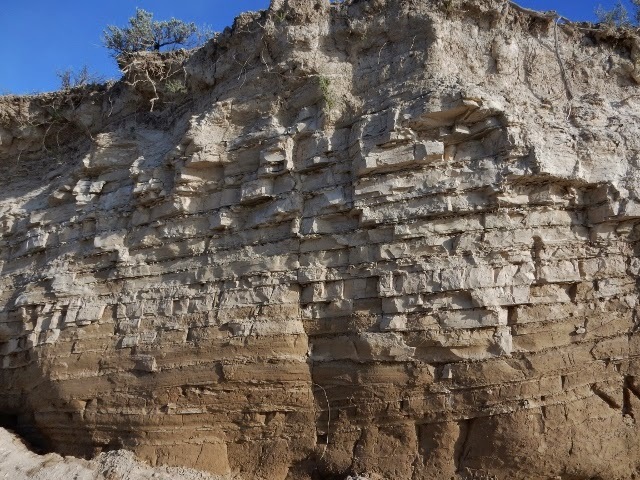 We've been focusing on a lot of great monographic content, and have tons more still to add. All our content is always listed on the Resources page, and content added in the last 45 days has a "NEW!" logo next to it. We plan to start offering webinars on how to research specific ships. 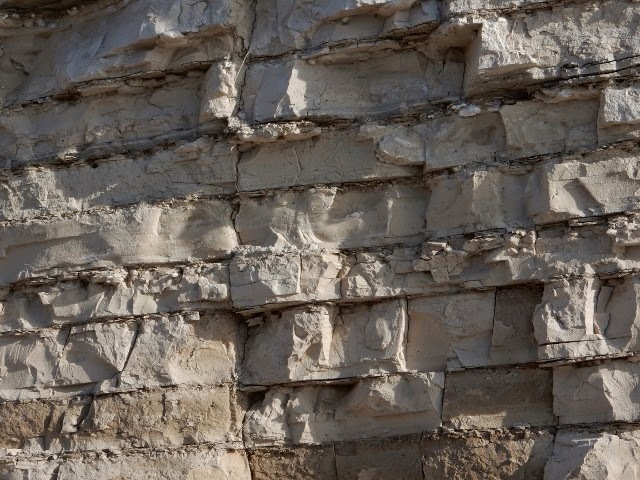 These will go well beyond the resources available in ShipIndex, and will highlight all kinds of resources, from logbooks to ship registries, and much, much more. Each live webinar will have a limited number of seats, and will have question and answer opportunities, as well. All webinars will be run by Peter McCracken, ShipIndex's publisher. Peter has a Masters in Library Science from the University of North Carolina, and a Masters in Maritime History from East Carolina University, so is uniquely able to combine these two fields into efficient and effective research on ships. The webinars will not be free, but when you sign up, you'll also receive access to the complete ShipIndex database for a set amount of time - and you'll get a ton of hints about how best to use the database. If you'd like to learn more about the webinars, and be notified when they begin, please send a note to webinars@shipindex.org. I believe strongly that ShipIndex is a valuable tools for libraries and museums. Academic libraries can be sure that their students, faculty, and staff have access to great resources in maritime history. Public librariescan help genealogists find valuable new information about their ancestors. This was in a recent newsletter (Vita Brevis) from NEHGS (New England Historic Genealogical Society). I think the talk will morph into a book. I think it would be fabulous reading! The youngest at first marriage was 15, oldest at first marriage, 32. The woman who lived to the greatest age was 97, and the one who died the youngest was 21. These women were wives, mostly, of the second generation Great Migration sons who came to New England with their parents, and, themselves, came to New England during the Great Migration with their own families, or as servants to extended family or to families who were often neighbors in their society or church at home. An example of an “average” woman in this group is Elizabeth (Baker) (Watkins) Hudson. She was younger than average when she came to New England, only 3 when her parents Alexander and Elizabeth Baker came to Boston, but she married first to Thomas Watkins at about age 20 and had seven children before being widowed at age 57. She was 63 when she married her second husband, Francis Hudson (who was 77), as his second wife (his first having died the year before), and became step-mother to his four grown children. Elizabeth died two years later at age 65. For me the most interesting statistic is the average birth year of these women, 1620. They were born, almost literally, as the Pilgrims were stepping on Plymouth Rock, and their entire childhoods would have been spent among families talking about, planning, and executing their removal from the old world to the new. They would have had no choice about coming to New England, but did they see it as a great adventure or were they sulking teenagers? I know that I would have been one of the sulking teenagers. I get seasick and I hate sleeping on any mattress but my own. When we are not happy with others we are not happy with ourselves. We have all heard that an apple a day keeps the doctor away but an onion a day will keep everyone away. As humans we need some food, some sun, some work and someone. The good ole' days are memories with the pain or embarrassment forgotten. If the going starts to feel like it's too easy, you might be going down hill. Money can buy a dob, but only love will make his tail wag. Forbidden fruit makes for a very bad jam. Civil War Images........... Stereo Photos Just Found & Added Online! Did you catch the article in our Spokesman the other day titled "Library of Congress buys trove of Civil War images?" 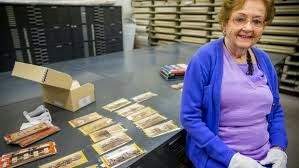 This story told how "a Houston housewife who has quietly collected rare Civil War images for 50 years has sold more than 500 early photographs to the Library of Congress. The library announced the acquisition and is placing the first 77 images online." To me the cool thing about this is that they are almost all stereo-pictures, like the gizmo we used as children, the View Master. Most of the images were taken by Confederate photographers and many are never-seen-before images. 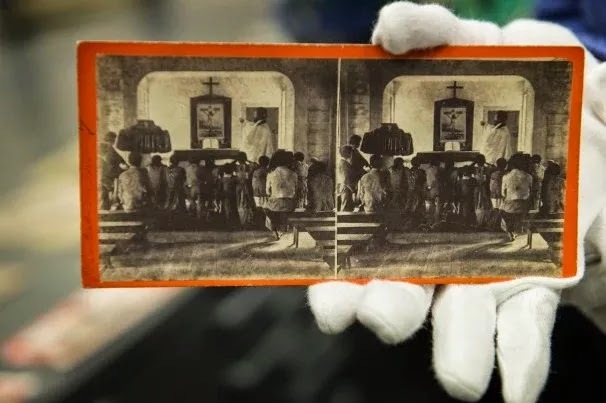 Robin Stanford, the Houston grandmother who collected these images for over four decades, said the images are like ghosts form the past that reflect part of American history. I cannot wait to click to the Library of Congress and take a look-see at some of these photos!